A well-served old luminaire transformed to a better, energy efficient and cost efficient solution. Easy installation, vs. changing the bulb of the old luminaire. In the course of recent years, we have carried out several modernization projects to develop energy-efficient LED lighting solutions to modernize architecturally valuable luminaires. As a result, we”ve preserved the old milieu, at the same time creating good energy efficient lighting – both our customers and citizens have been pleased with the results. Last spring we received an inquiry about a modernization LED change kit for a street luminaire that we saw as a “basic luminaire” (vs. an architectural luminaire). We contemplated how to develop a solution that has a reasonable payback period but also believed in our R&D expertise to solve the challenge. We evaluated the extensity of the change procedure with Terho Tiainen from the City of Lappeenranta and the contractor Topi Kangas from Elvera Oy. Based on this evaluation we were able to carry out the payback calculation. Our solution pays back the investment in a couple of years with energy savings, and the working life of the modernized luminaire is long. The modernization change kit is well received by the customers, who appreciate especially the appearance and quality of the product. What makes the project viable is the prospected order quantities by the customer, the good sturdy cast aluminum casing of the luminaire (in this case: Siteco SC50 and SC100), and the internal structure of the luminaire which enabled developing installation-friendly modernization kit. 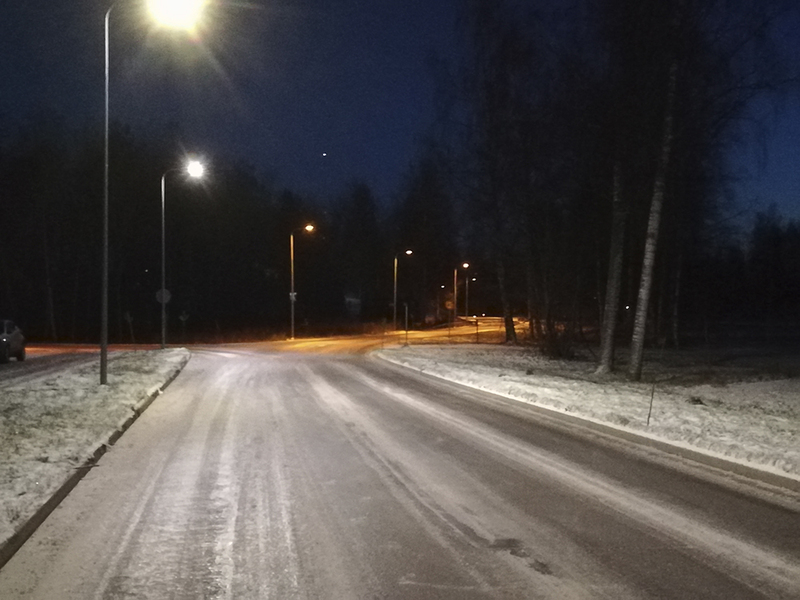 The first installations with this modernization kit were made in urban areas of the City of Lappeenranta. The city representatives, the contractor, as well as the citizens, have been pleased with the outcome. The color of the light, color rendering, the smooth light beams and the amount of light have been improved while the energy usage has halved. Installing the modernization kit takes only close the same time as changing the bulb from the old luminaires. This is circular economy at its best: The structures from the old luminaire are used as they are, the glass dome included, and without removing the luminaire from its installation site. Inside the luminaire casing, a modernization change kit is installed, and the old lamp holder and other structures that are removed will be recycled. A special thank you to Terho Tiainen from the City of Lappeenranta for all the constructive and unprejudiced feedback during the development of the product! We believe a special thank you is also in order from environment’s point of view. 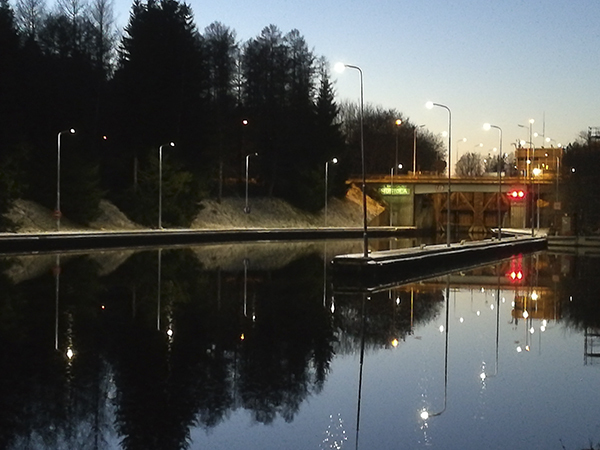 Modernized Siteco luminaires at the Saimaa Canal.